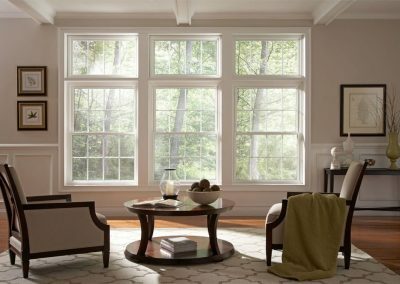 Our vinyl double hung replacement windows have a refined and purposeful design that stays true to the classic double-hung style, yet exudes a cool, contemporary elegance with clean lines and crisp corners. 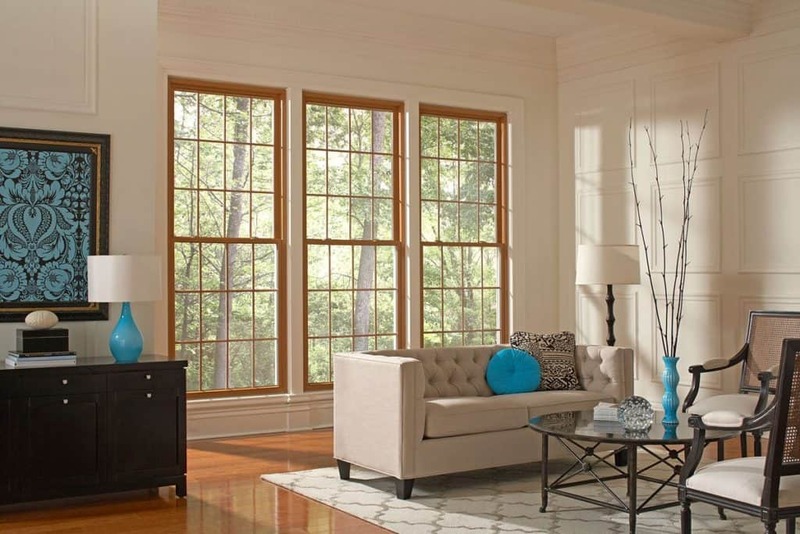 The double hung window is equally loved for its carefree functionality. 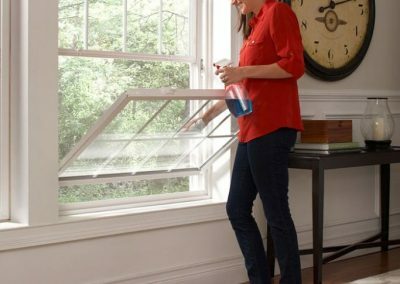 In addition, there’s no need to struggle with hard-to-reach areas because both sashes tilt in to allow easy cleaning from inside the comfort of your home. 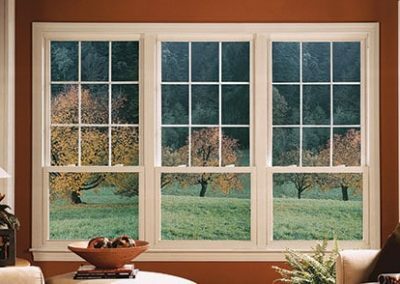 Vinyl double hung replacement windows are built for everyday wear and tear. The skillfully constructed sashes raise and lower easily on a constant force balance system, eliminating the need for sash cords, weights and pulleys. 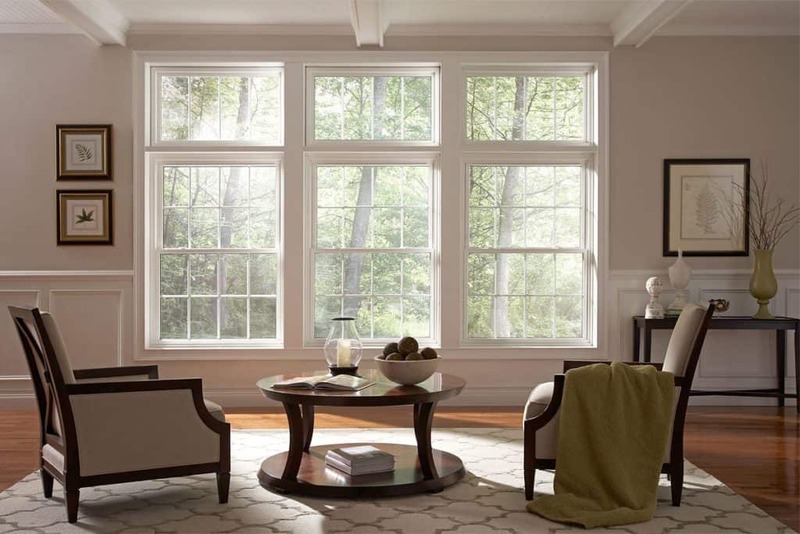 The result is pure beauty, and the smooth operation of our double hung windows will be a simple pleasure. 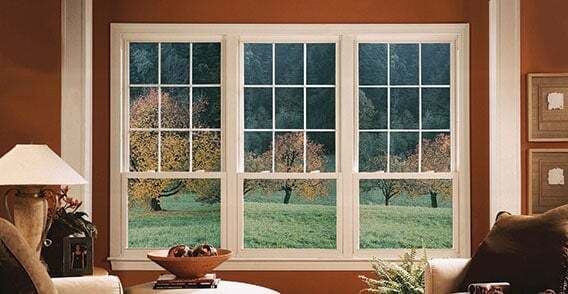 Narrowline frame and sashes with fusion-welded corners provide this window with exceptional beauty, strength and energy efficiency. 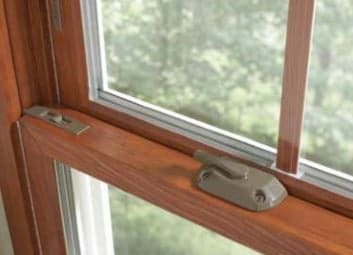 The integrated sash-to-sill interlock provides a unified wall of strength, resulting in the prevention of the sash from bowing in extreme winds. The window’s non-conductive, composite reinforcement in the meeting rails allows for secure mounting of hardware, consequently improves energy efficiency. It’s true sloped sill creates a highly efficient drainage system to prevent water and debris accumulation. 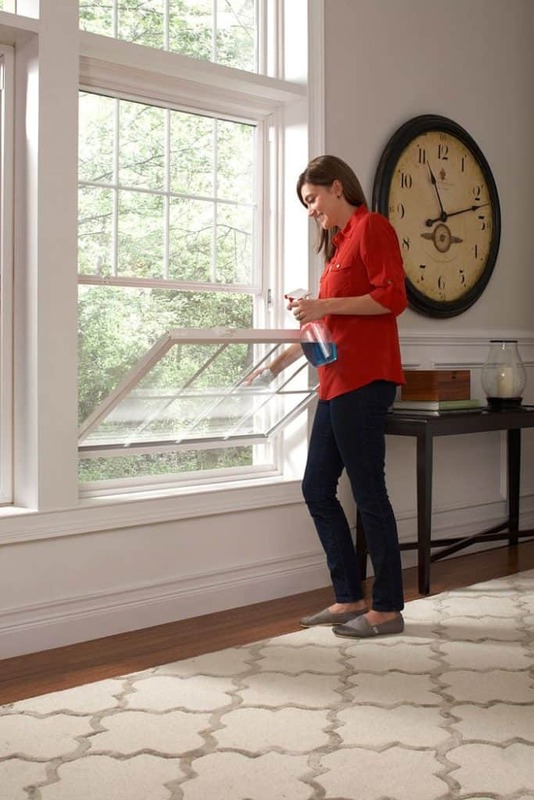 The window’s constant force balance system provides smooth raising and lowering of sashes. Contains a hidden screen track for a neat and clean appearance. 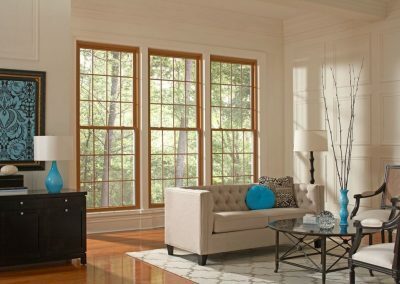 Savannah Windows & More can install custom Double Hung windows in your home anywhere in the Savannah, GA areas.